The long-buzzed-about stage-musical adaptation of the 1982 comedy flick Tootsie is bound for Broadway! The tuner will make its Great White Way debut in spring of 2019 at a venue to be announced. 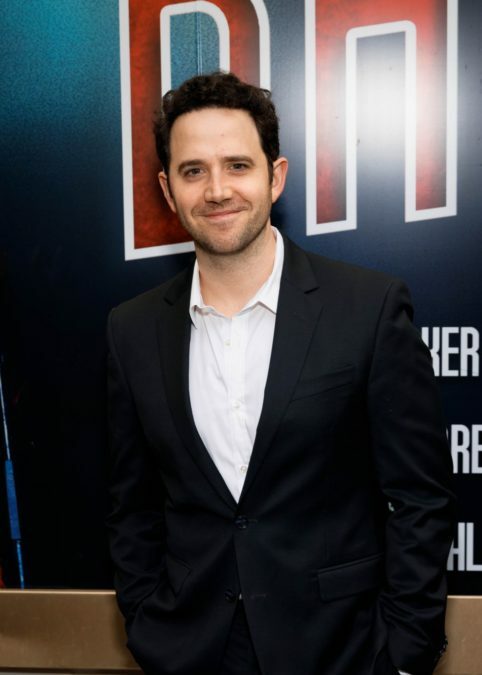 Santino Fontana (Cinderella, Frozen), who has been speculated as the musical's star for some time, will lead the cast as struggling actor Michael Dorsey. Tootsie features a book by Robert Horn (13) and a score by The Band's Visit music maker David Yazbek. Director Scott Ellis (She Loves Me), choreographer Denis Jones (Holiday Inn) and music director Andrea Grody (The Band's Visit) lead the creative team. Tootsie will play a pre-Broadway run at Chicago's Cadillac Palace Theatre from September 11 through October 14, 2018. Tootsie centers on Michael Dorsey (Fontana), a talented but difficult actor who can't find work due to his poor reputation. To land a gig on the hot soap opera Southwest General, Dorsey dresses as a woman and creates a female persona he calls Dorothy Michaels. When Dorothy suddenly becomes an inspiration to women throughout the country, Dorsey finds himself in deep trouble. As America falls in love with the fictional Dorothy Michaels, Dorsey falls for his female co-star and Dorothy's best friend, Julie Nichols. The film Tootsie starred Dustin Hoffman in an Oscar-nominated turn as Dorsey with Jessica Lange in an Oscar-winning performance as Julie. The design team for Tootsie includes scenic designer David Rockwell, costume designer William Ivey Long, lighting designer Donald Holder and sound designer Brian Ronan. Additional cast and creative team members will be announced at a later date. Till then, gear up for the musical with a look at the film's original trailer below.